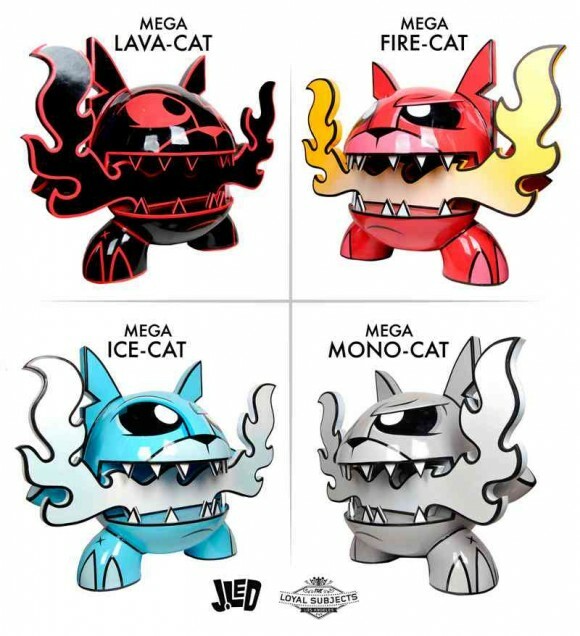 In collaboration with The Loyal Subjects, Joe Ledbetter is bringing back his iconic Fire Cat, but this time it’s MEGA-sized. 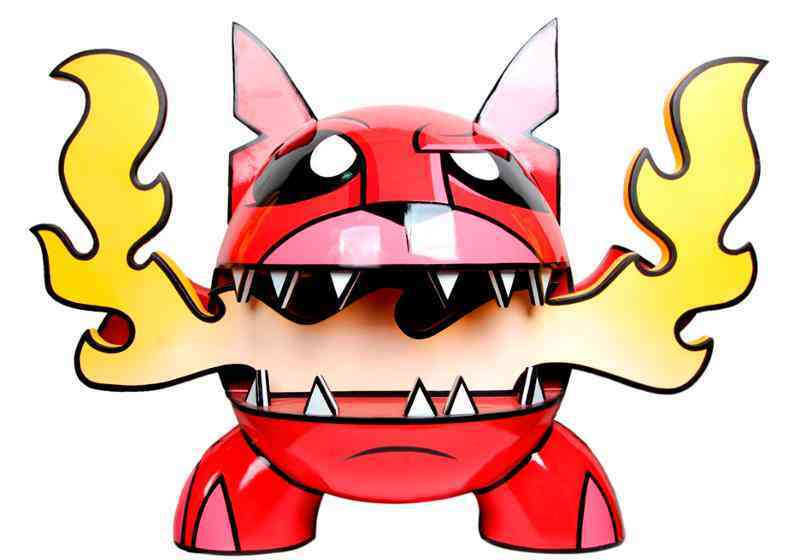 Towering in at 4-foot tall, this fiberglass beast has giant flames shooting from the mouth and is available in four different color-ways: Original Red Fire-Cat (edition of 7), Ice-Cat (edition of 4), Mono-Cat (edition of 5), and Lava-Cat (edition of 3). 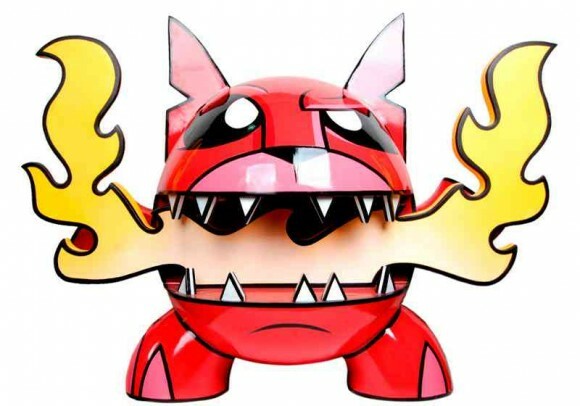 Prices range from $5,500 – $6,000 and will be available through Toykio, 3D Retro and Bait. Hit up The Loyal Subjects for more info.